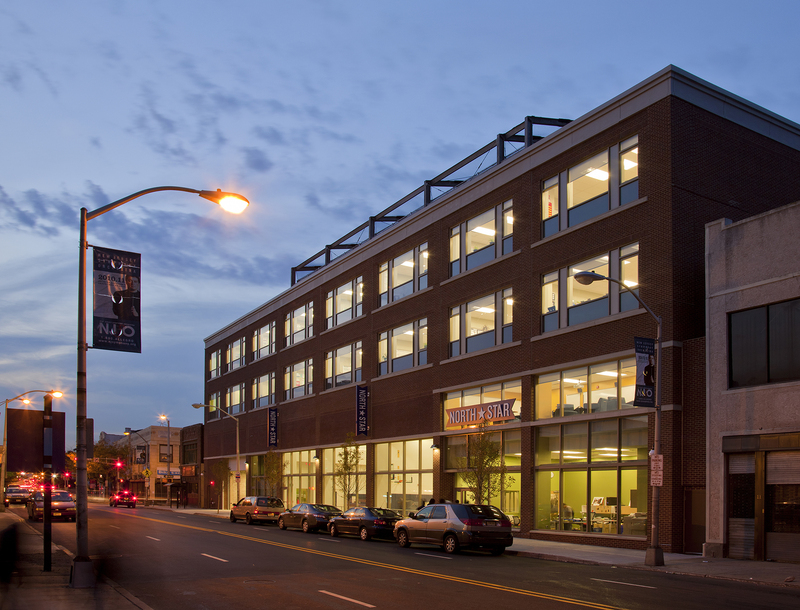 To accommodate the growth of the high-performing North Star Academy in Newark, NJ, Type A Projects principals managed a comprehensive design and construction process on behalf of Uncommon Schools, an outstanding charter school management organization. Working with school leadership, we streamlined stakeholder input while ensuring the physical environment was both contextual and distinctive. The project transformed a parking lot and turf field into a 50,000 square foot facility that completed North Star’s Newark campus, serving 900 students annually. The facility includes over two dozen classrooms, state of the art science labs, a 2,000 square foot multi-purpose room, a high school regulation basketball court with 200 bleacher seats, and a 2,000-square-foot rooftop play area with synthetic turf.